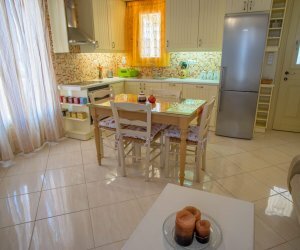 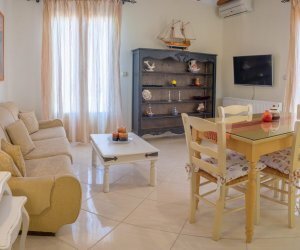 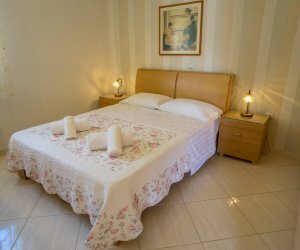 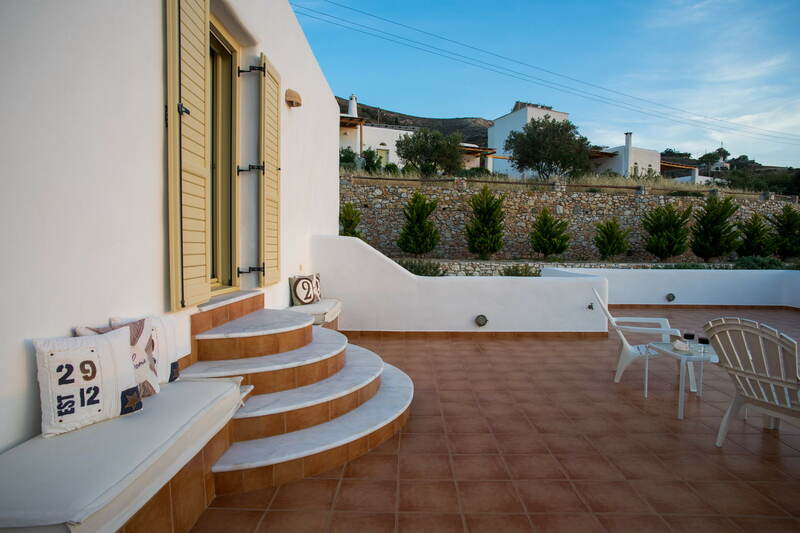 Small country side apartment (50 square meters), just 2 kilometers from Paroikia city center and the port, on the way to Lefkes village. 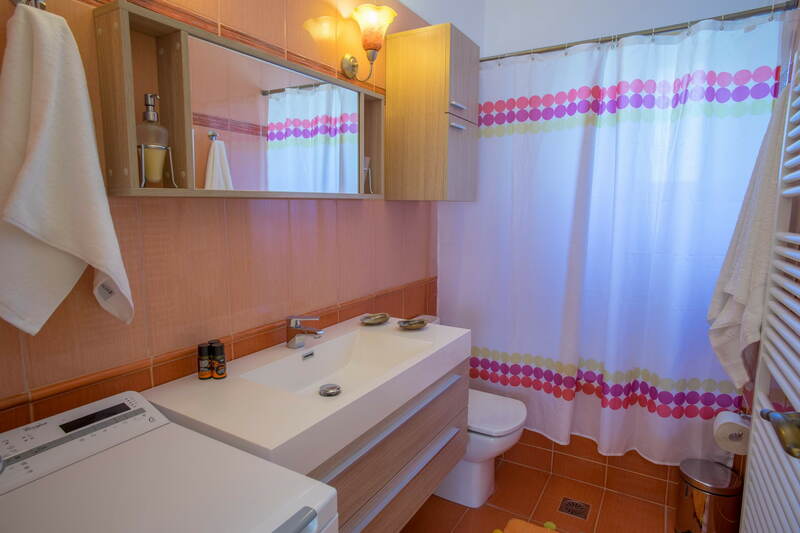 It is on the top floor of a 2 story traditional house. 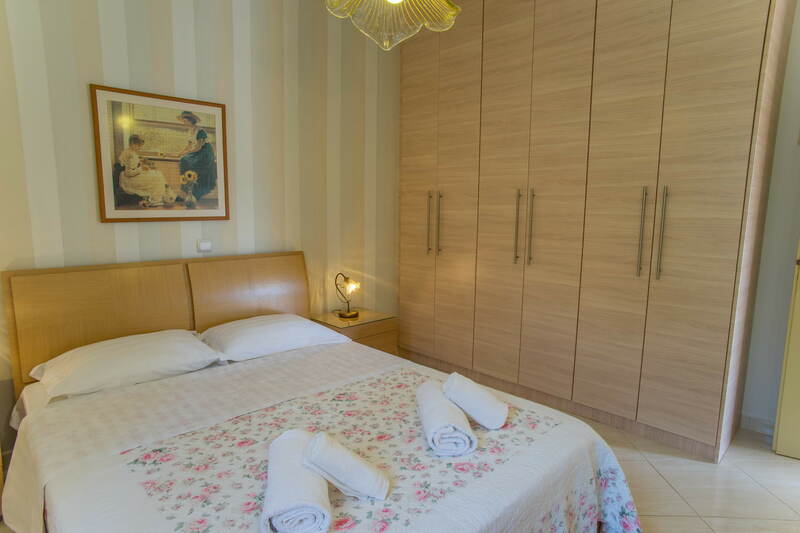 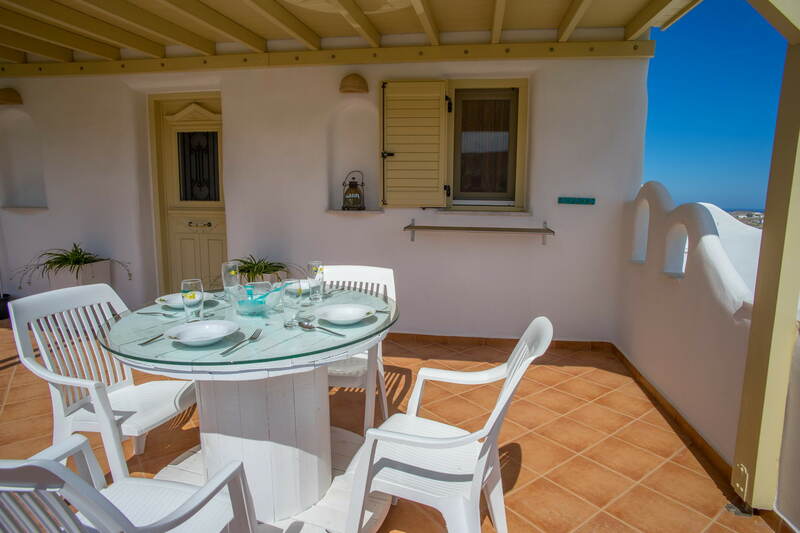 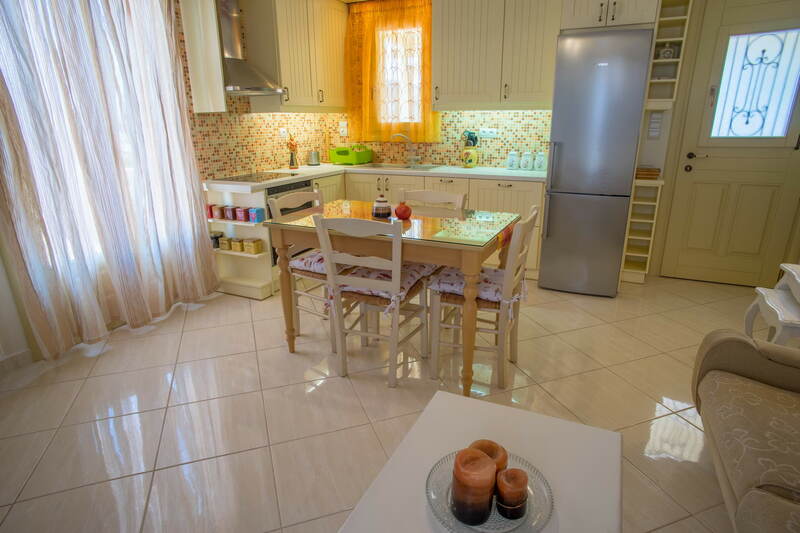 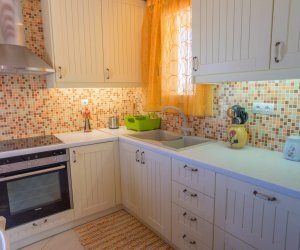 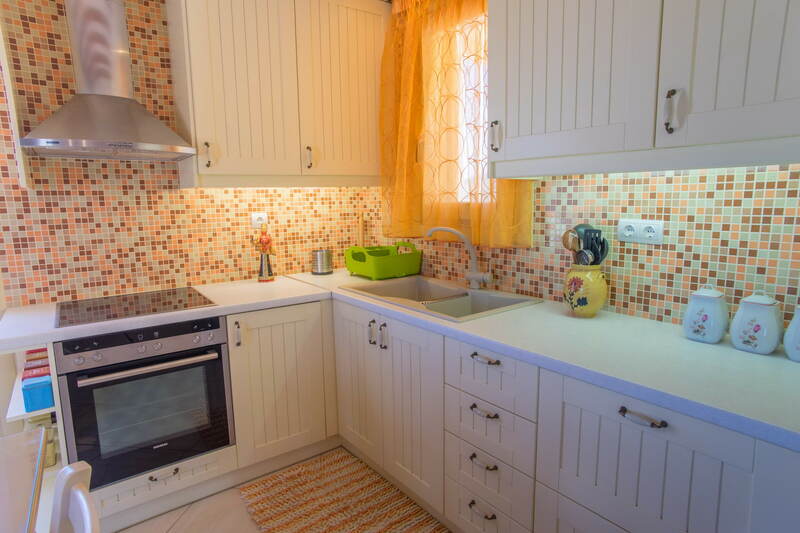 It features: 1 bed room, bathroom (with bathtub), fully equipped kitchen (fridge, oven, ceramic cooktop) and a living room. 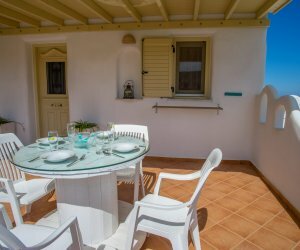 From the big and spacious verandas you can admire the magnificent sunset and the bay of Paroikia while enjoying your meal or drinks . 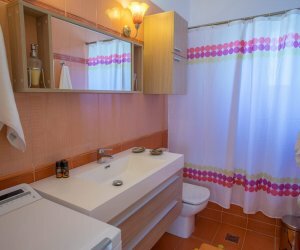 There is a parking on site . 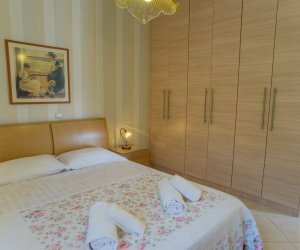 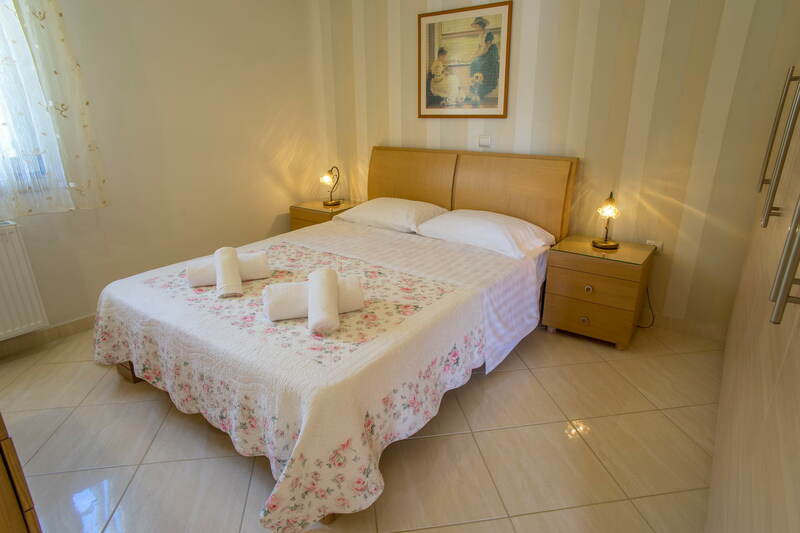 Facilities : cleaning service (we provide bed linen and towels) , fast WI-FI connection, flat screen TV (43 inches) washing machine, air-conditioning .